The Perseids peak every year in mid-August. Here in New Mexico, this happens to land right in the middle of the monsoon season which lasts from June 15th through September 30th. While it doesn’t rain every day during the monsoons, the skies can be mostly cloudy for days on end. Fortunately, this year’s peak was forecast to last two nights, August 11/12, and August 12/13, giving us a little wiggle room in the schedule. The forecast looked better for Sunday night, August 12th, so we made plans to spend Sunday night near Cabezon Peak. While things were sunny in town when we left, a huge storm was forming where we were headed. The closer we got to our campsite, the bigger the storm grew. 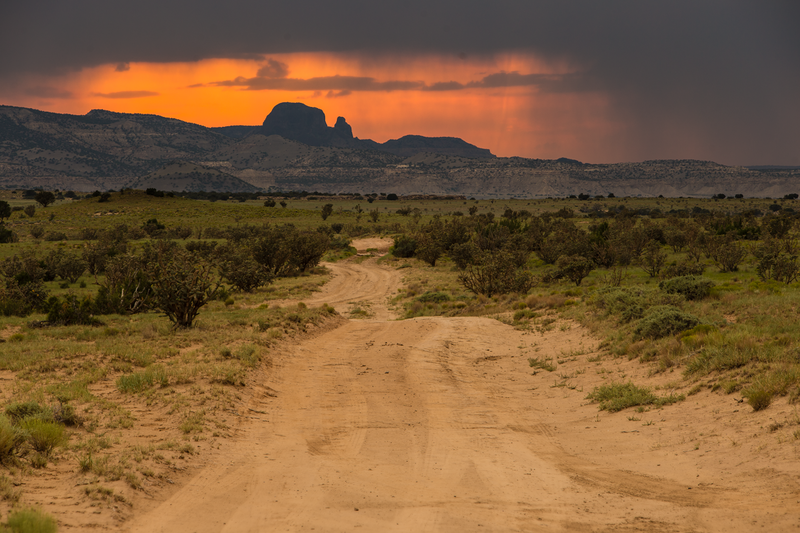 We never did drive through any rain (which was fortunate, because the dirt road to Cabezon becomes impassible when wet), but by the time we arrived, the storm had surrounded us. We were treated to a beautiful sunset with lightning all around. 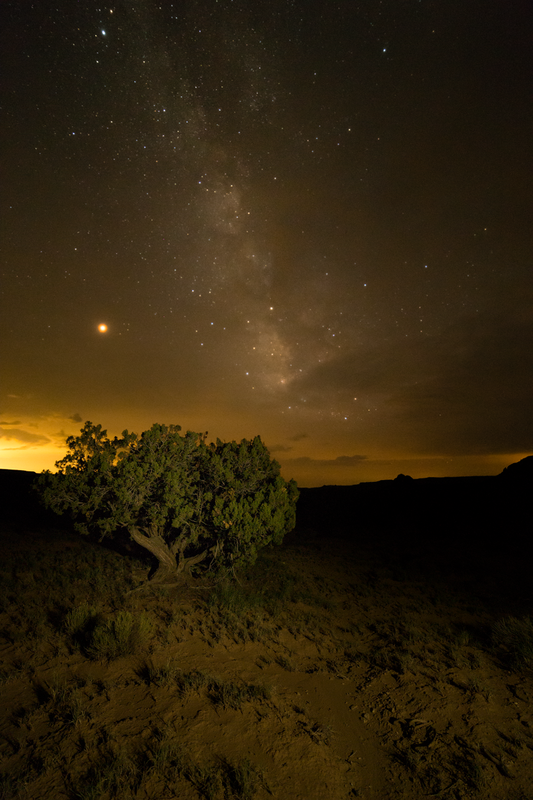 Figure 1: Cerro Parido points upward into an orange sky, as seen from near our camp site across the Rio Puerco valley. Taken with a Canon EOS 6D and Canon EF 70-200mm F/2.8 lens. We set up camp and watched the storms blow by in the distance while eating dinner. Like the last time I’d been to this area with my brother about five weeks before, it was eerily quiet. A few weeks of rain since then had turned the landscape from a dull and dusty place into the green desert you see here, but with the moisture comes the bugs. A lot of bugs. We got bit up pretty bad before the breeze picked back up again later in the evening. The clouds would stay around until just before midnight. 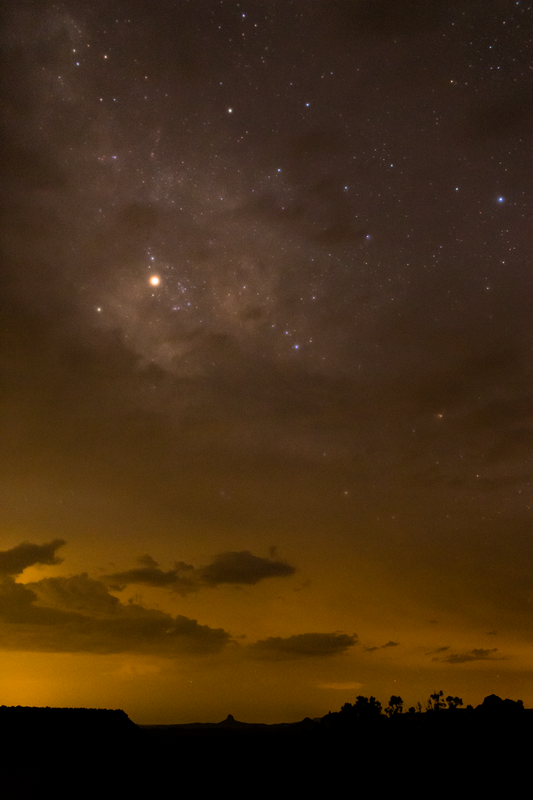 Figure 2: The Milky Way peeking through the clouds. This was the first time we could see the stars, sometime around 10:30pm. Saturn is visible as the big white ball left of center. Canon EOS 6D, EF 35mm F/1.4L lens. Figure 3: By 11:00pm, the clouds were really starting to dissipate to the south. Mars can be seen to to the left. Canon EOS 6D, Rokinon 14mm F/2.8 lens. Figure 4: By 11:30pm, the clouds were starting to break up near the radiant of the meteor shower to the northeast. Canon EOS 6D, EF 35mm F/1.4L lens. Finally, at around midnight, the clouds disappeared and stayed away for good. We still had some haze from the wildfires in California to contend with, but you could still see many stars. Better yet, the Perseid fireball machine was in full force. We were seeing around 40-50 meteors per hour, and the ones we saw left long dusty trails behind. 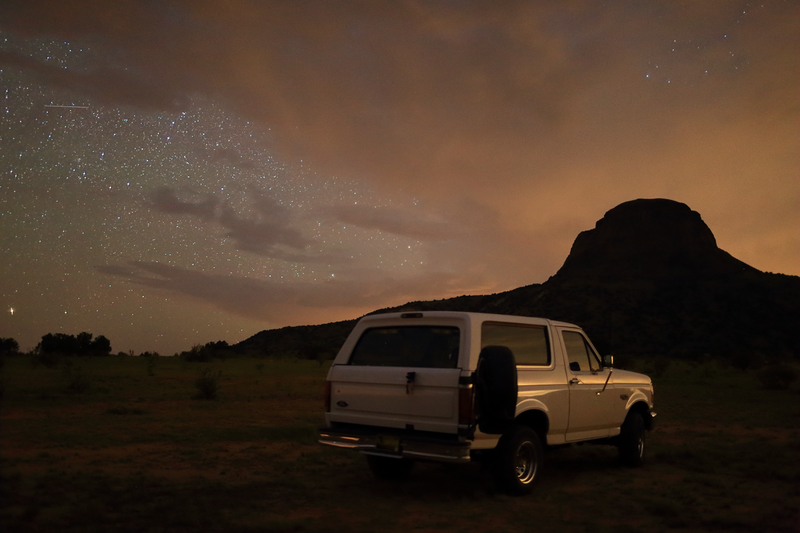 I set up my SkyTracker off to the side of the dirt road and set the camera to shoot for the remaining several hours before morning twilight. 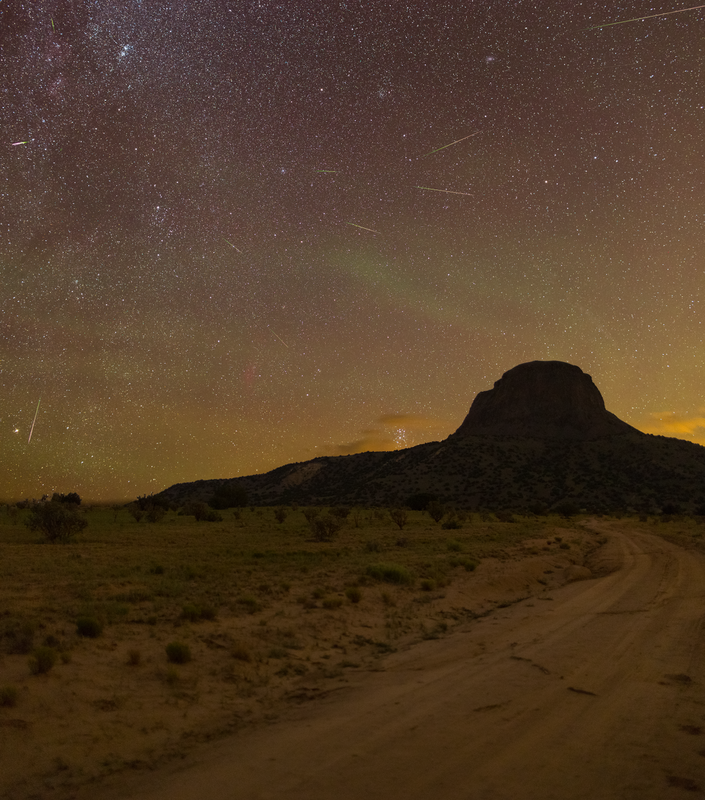 Figure 5: Meteors fall over Cabezon Peak. The green blobs are airglow and the red blob left of center is the California Nebula. Also visible are the Pleiades near Cabezon Peak and the Double Cluster in the upper-left. Three-shot vertical panorama for the foreground, untracked, with a fourth 2-minute tracked shot for the sky. To capture the meteors, I tracked the sky for four hours, taking 30-second exposures throughout. The brightest meteors were merged in post. Taken with a Canon EOS 6D and EF 35mm F/1.4L lens. During my first meteor shower trip in 2015, I serendipitously captured a brilliant exploding meteor. I hadn’t seen another one since, so I made it a point to be on the lookout for them this time around. In the 400 frames I shot, I ended up capturing over forty meteors, two with visible debris clouds. Captured at 3:17AM, this meteor’s debris cloud persisted for 8 frames (4 minutes). A few minutes later at 3:21AM, this meteor also produced a visible debris cloud. After catching a few hours of sleep, we woke up to coyotes howling at the sunrise. I didn’t get any pictures because my camera died after shooting all night, but I’m okay with that. Sometimes it’s better to just see things with your eyes and your friends, sans viewfinder. I don’t think I would have appreciated that beautiful desert sunrise for what it was any other way. At times, I’ve worried too much about the pictures I will or won’t get, when there are memories to be made, and much as I want to become a better photographer, remembering is really what I want to be good at.